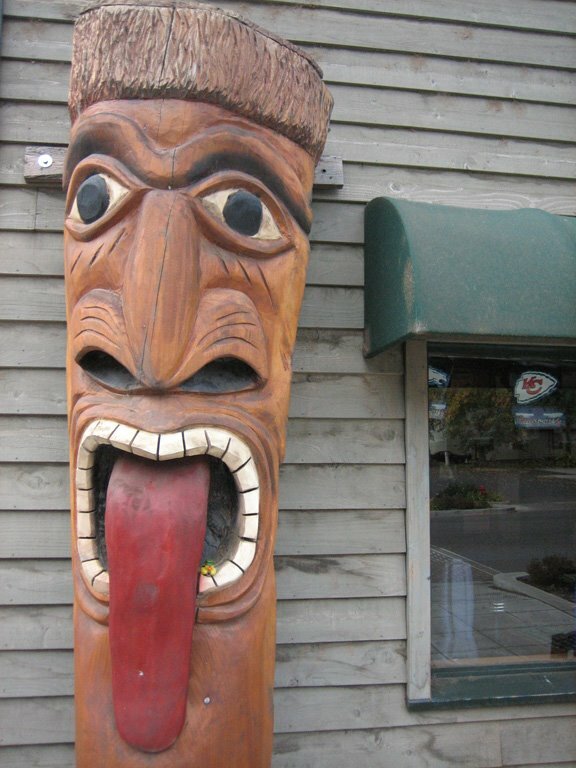 Can a nonJOYzee resident identify this eatery? BirdChick and I ate there a couple times. On our second visit, she sampled the pumpkin specialty and gave it a thumbs-up. The tasty meal didn't distract her, however, from her morning blog post. 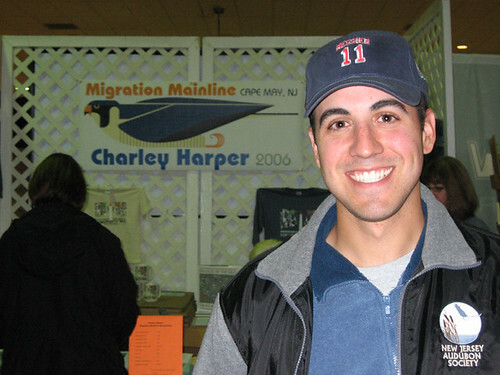 While standing at my booth in The Bird Show at the Cape May Convention Hall, I got to meet Patrick from The Hawk Owl's Nest. Look at his awesome smile! I really enjoyed chatting with him. I really enjoyed meeting Laura from Somewhere in NJ, too, but lamely failed to take a picture. Everyone gets an occasional brain cramp, right? 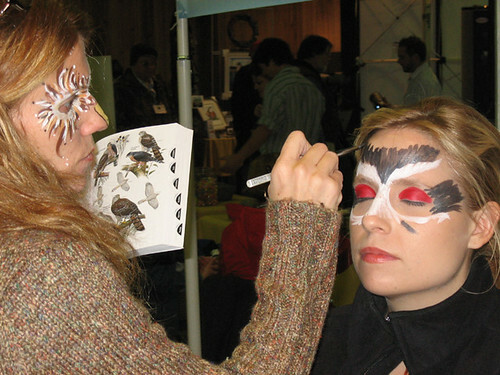 Luckily, my brain was engaged when BirdChick hopped into the face painters' chair. 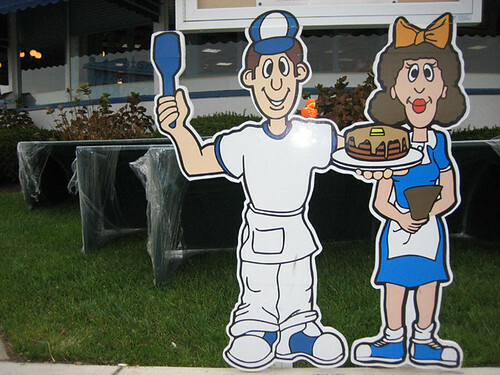 Janene and Terry of Festive Faces returned for the second year, and a handful of us quickly asked for their services. The two painters took requests and worked from field guides, as Janene did for BirdChick. 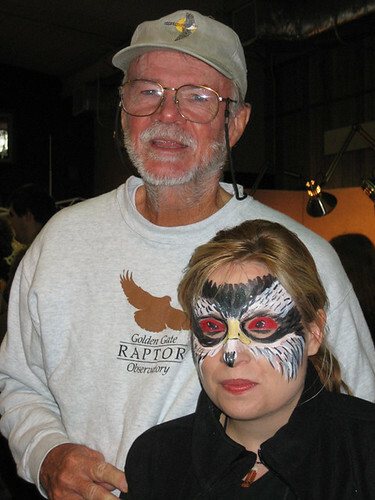 Raptor expert Bill Clark happened to be nearby when BirdChick flew out of the chair. 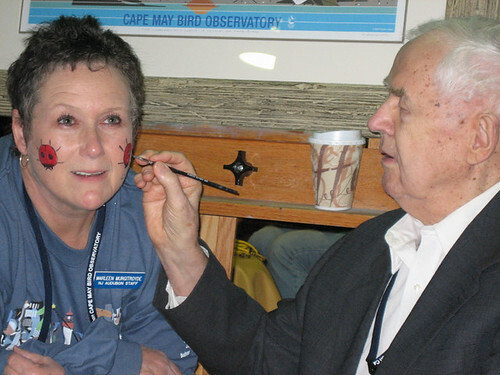 While sitting at a booth to promote his incredible Migration Mainline work, artist Charley Harper even got into the face painting. 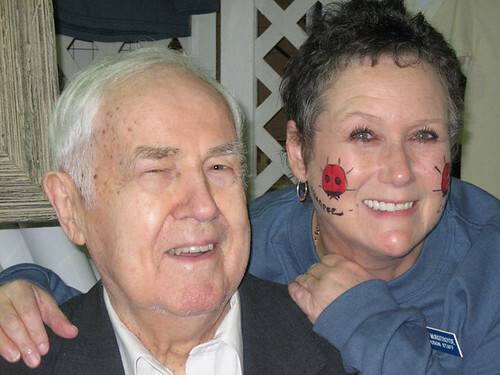 He adorned Marleen Murgitroyde's cheeks with his trademark ladybugs and then added his name. 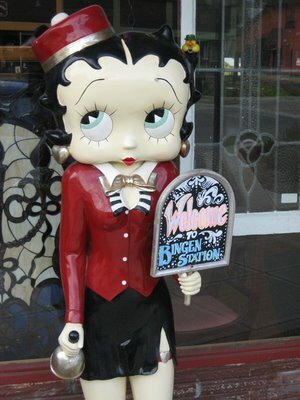 Marleen was thrilled to serve as Charley's first living canvas. 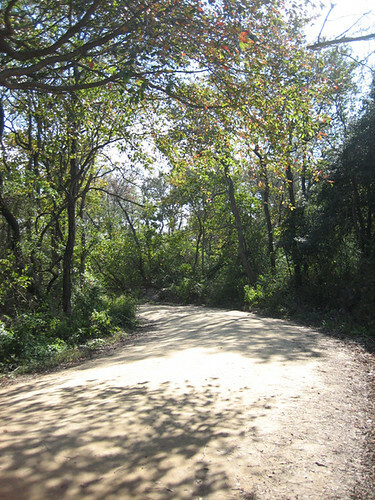 Leaving the meadow and ambling west on the dirt road, I enjoyed the canopy overhead and the Yellow-rumped Warblers and other elusive little creatures flitting along the roadsides. At this point, my sleep-deprived brain wasn't up to the challenge of bird identification. I simply enjoyed their antics while soaking up the environment. 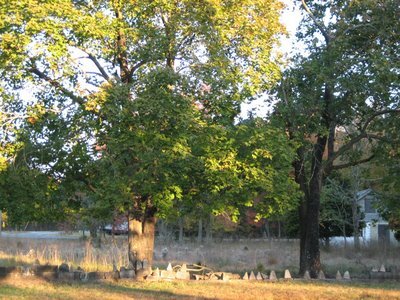 The trees eventually stop, revealing the dike on the right. It served as the original site of the Morning Flight project for many years. 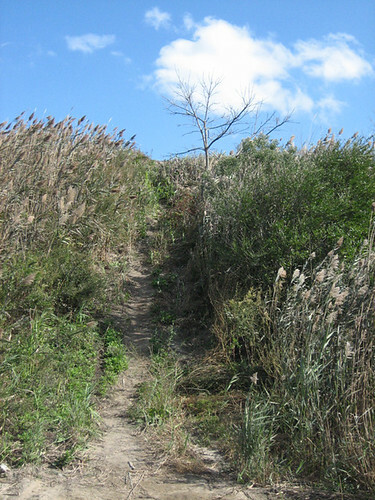 Here's where you can imitate a billy goat and scramble up the slightly steep trail. At the top, you'll see this when you look north. When you look south, you'll see the relatively new Morning Flight platform. At this point, my wanderlust needed to cease. My stomach needed fuel, and I knew just the place for peanut butter chocolate chip pancakes. Before stuffing my mouth, I drank in this view one more time. Aaahhh. Turning south onto Sunset Boulevard, I soon encountered Sunset Beach, where birders often look for seabirds and shorebirds on the jetties and the concrete ship. 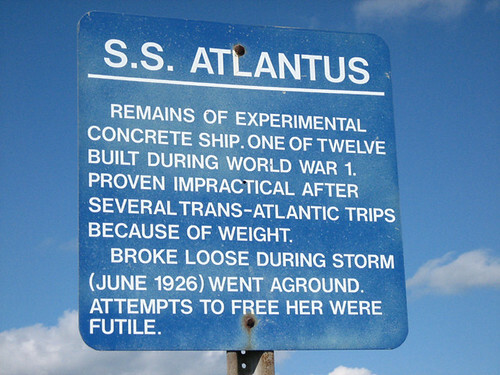 Yep, that says "concrete ship." Aside from me, two fishermen and a woman who looked to be collecting shells, the beach was empty. The cold, strong wind had most visitors enjoying the view from the warmth of their cars and had the waves splashing strongly against the ship and the rocks. 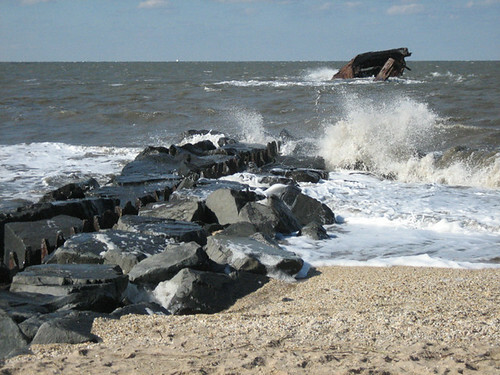 I'm sorry to report, Mica, that I didn't find any Cape May diamonds. Maybe in May! Driving north on Sunset, I made a left onto Bayshore Road, toward The Beanery. 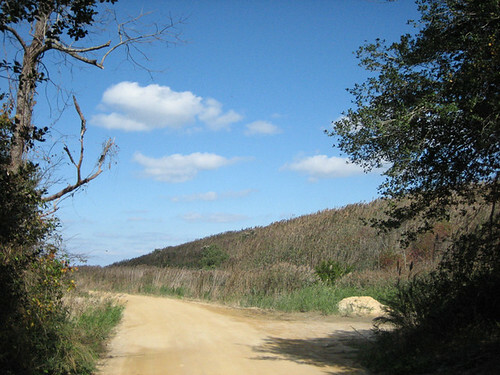 At the 641 intersection, I turned south toward Higbee Beach Wildlife Management Area. The parking lot held a few vehicles, but the place didn't look crowded. Turning toward the meadows, I followed the path to the right and soaked in the view. This spot feels good to my soul, you know? Dark-eyed Juncos and some LBJs that eluded identification foraged on the ground near the path, while an occasional raptor, such as a white-rumped Northern Harrier, and Turkey Vultures soared overhead. Well, the raptors soared, and the vultures wobbled. Closer to my eyes, Yellow-rumped Warblers flitted amidst the leaves, a Carolina Wren sang a few times, and an Eastern Phoebe perched on a conspicuous branch. During the walk toward the car, a Northern Flicker flew across the path and landed high in a tree. The bright red V really stood on the back of his neck, and he called repeatedly while swiveling his head. The sun warmed my back as I watched him, and it felt so good to be there. 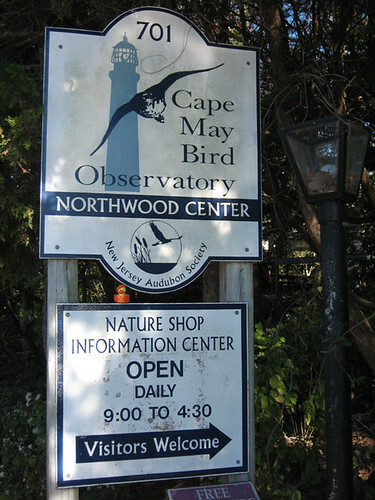 The next stop on this virtual tour of Cape May's birding sites: CMBO's Northwood Center, next to Lily Lake. 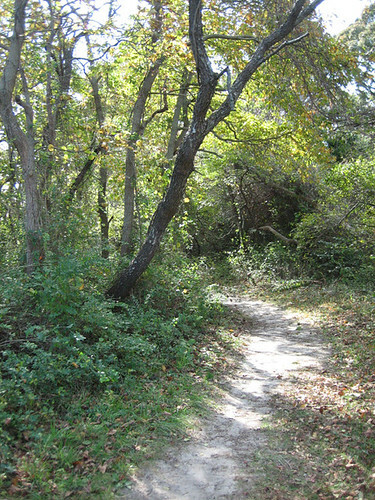 The center provides loads of information about sites, species and products. 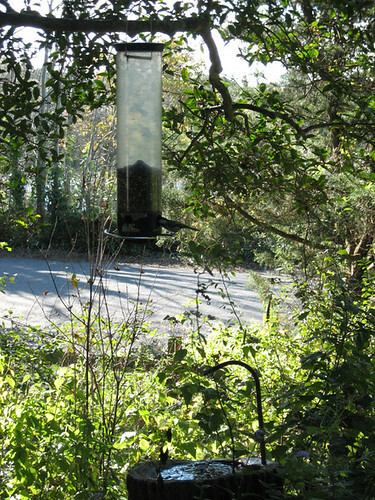 In front of the wooden deck, the birdscaped garden includes seed and suet feeders, drippers and misters. While Black-capped Chickadees visited the black-oil sunflower feeder (can you see it?) and Mourning Doves and White-throated Sparrows foraged on the ground, Canada Geese honked while swimming in the lake just across the road. A female Rose-breasted Grosbeak also visited the feeder and did her best to maintain balance on the weight-sensitive perch, her tail flicking regularly. I always think "House Sparrow on steroids" when I see a female RBGR. Inside the center, I always marvel at the selection of optics and the great testing set-up, aimed at the garden. 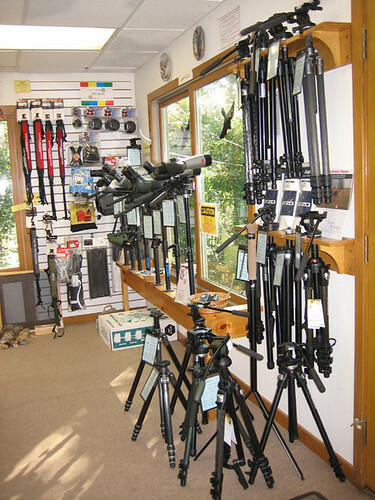 Consider taking advantage of this chance to compare optics side by side whenever possible. 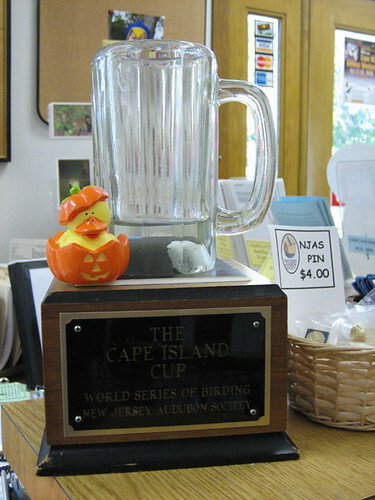 The visit to the center also gave me a chance to momentarily reclaim the Cape Island Cup, the trophy earned in the Cape Island tournament of the World Series of Birding. For many years, the team sponsored by WildBird, Zen Zugunruhe, went uncontested in this geographic area. This year, however, a local team won the cup, depriving the Zen fellows and me of another chance to visit the C-View Inn and toast their victory. Next May, fellas! 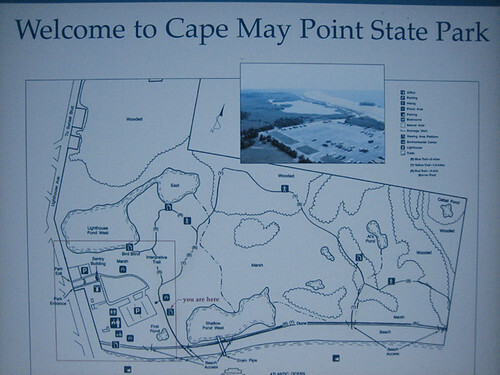 After driving into Cape May on Lafayette Street, I continued south on Sunset Boulevard toward the Point. Stepping out of the car, I immediately felt why everyone was bundled with scarves, hats, gloves and thick jackets. The brisk wind felt really refreshing to someone who'd spent the night in a tin can. The hawkwatch platform sits on the north side of the parking lot. 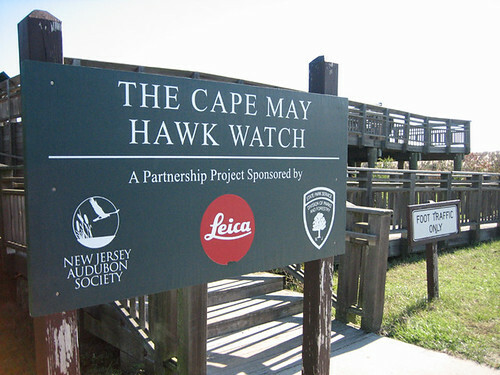 2006 marks the 30th year of a staffed hawk watch at this site. The hawk counters post the running tallies on this board for everyone's perusal. During my brief sit on one of the platform's benches, I enjoyed the big Turkey Vulture kettles very much. 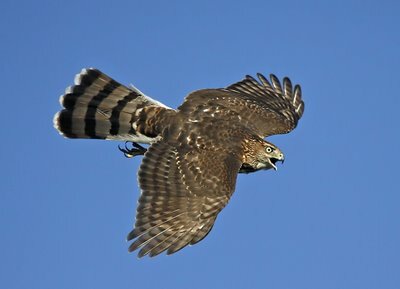 The Broad-winged Hawks, Cooper's Hawks and Red-tailed Hawks also made me smile. 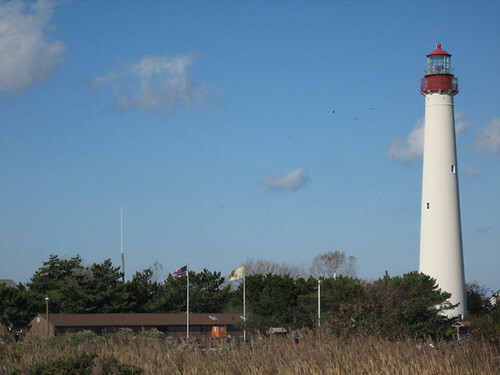 The plane landed in Philadelphia at 6:15 a.m., and I quickly began the drive east and south toward Cape May, taking the 95 to the 76 to the 42 to the 55 to the 47. 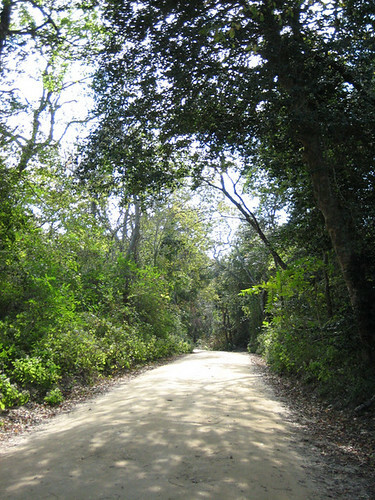 I always enjoy the last portion the best, because the two-lane road gives me lots of access to sights and sites. Southern JOYzee looks completely different from my usual stomping grounds, and I like to pull off the highway on a dime to investigate unfamiliar places. 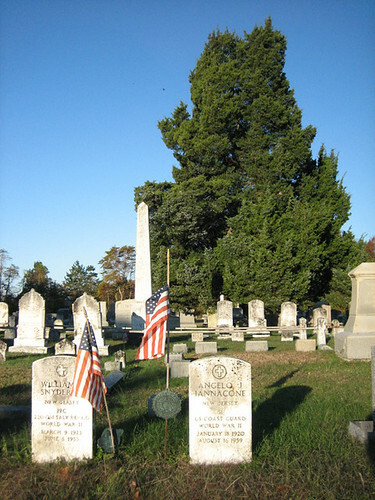 It seemed appropriate, given the Halloween festivities, to finally wander through two old graveyards. With their solitude and sometimes unmanicured habitat, cemeteries can provide a respite and a chance to watch and hear birds. This site appears on the east side of the highway, just before Manumuskin River. This quiet graveyard didn't yield any birds but offered some balm to my jet-impaired frame of mind. 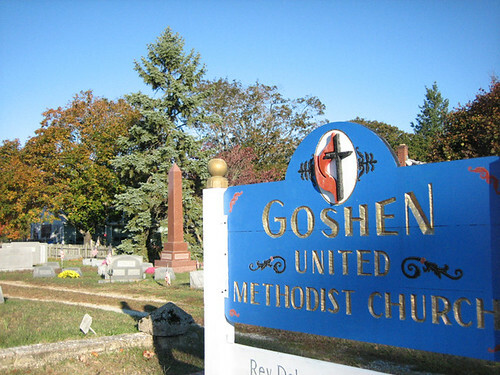 Farther south on the highway, I stopped in Goshen. 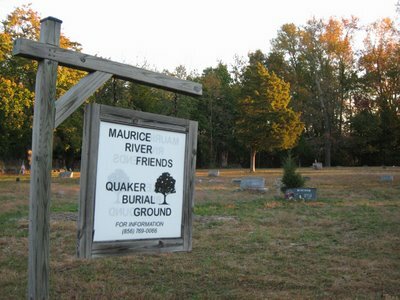 This cemetery proved to be much more fruitful. 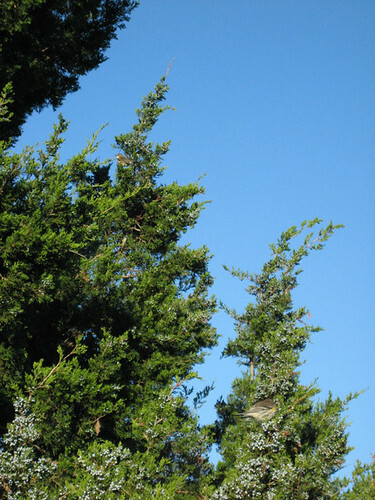 That juniper tree on the right served as a butterbutt buffet, hosting tons of Yellow-rumped Warblers that fed on the small, blue berrylike cones and were oblivious to my close presence. Two butterbutts deigned to pose for me while gobbling the ripe cones. At the back of the cemetery, unfamiliar birdsong greeted my ears. I couldn't pinpoint the singers amid the overgrown shrubs and trees but left with a smile prompted by the voracious warblers. 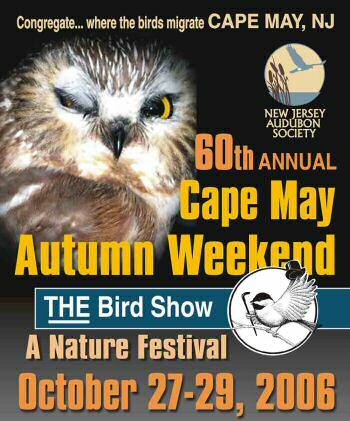 This weekend, hundreds of birders will converge on Cape May, N.J., for the 60th annual Autumn Weekend. I'm one of 'em, as is BirdChick. Please introduce yourself if we cross paths! You'll likely see me at The Bird Show in the convention hall. If you didn't register before last week's deadline, consider attending next year's festival. You could go on field trips, attend seminar and workshops, listen to evening programs by notable birders, get your books signed by the authors, and enjoy back bay cruises. Know some talented illustrators? I can think of a couple. Cornell Lab of Ornithology wants avian artists to submit their work for a "Birds in the City" poster to be distributed nationwide at "Celebrate Urban Birds" events in May 2007. 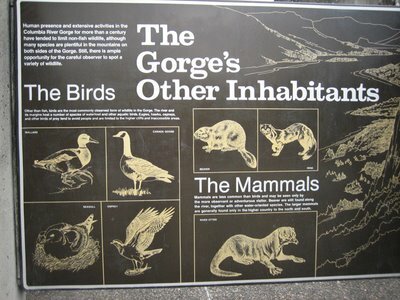 Because the poster will be an identification guide, it should depict birds accurately in cityscapes. 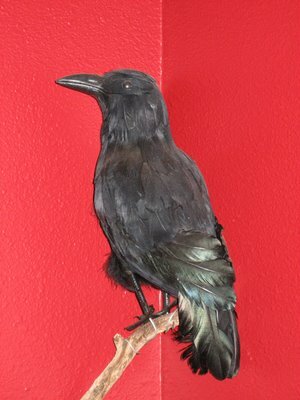 The winner will receive $1,000, appear on the lab's website and in "Celebrate Urban Birds" materials and be honored during various events. 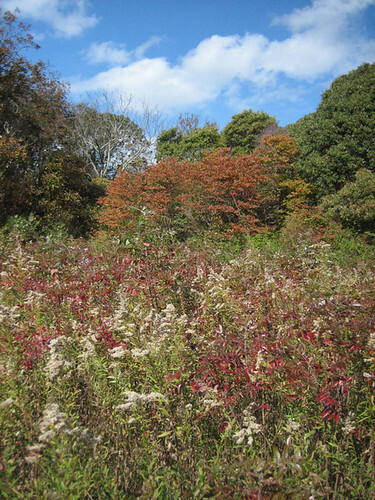 For more details, write to urbanbirdsATcornellDOTedu, or call 607-254-2455. Kevin Karlson's name seems to be on a lot of birders' lips these days, as more shorebird aficionados pick up The Shorebird Guide by Kevin and his co-authors, Richard Crossley and Michael O'Brian. It's a pleasure to hear birders respond very positively to the book and to the authors' efforts to share "birding by impression." Below are Kevin's very complete responses to various questions. Enjoy! My friend Bob Perna took my wife, Dale, and me to Sandy Hook, N.J., to look at birds for the first time in 1978. We laughed at the silly names that he was calling out: Rufous-sided Towhee, Yellow-bellied Sapsucker, Yellow-breasted Chat. We couldn’t imagine doing this on a regular basis, since the bird names sounded so comical to us. Little did we realize that every vacation for the next 27 years would be spent looking at and photographing birds (a recent trip to southern Utah without any birding agenda broke this streak). A subsequent trip to Everglades National Park in the winter of 1978 sealed my fate. 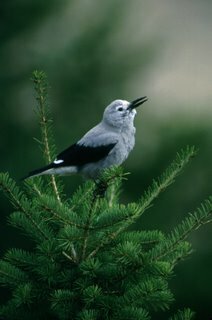 I bought my first telephoto lens soon after that and have devoted much of my life to the study and enjoyment of birds. I started photographing birds with a small camera in 1978 at Everglades National Park and bought my first telephoto lens the next year. I have never looked back, and today’s digital revolution has brought new excitement to bird photography, with incredible action and motion photos possible due to new and improved technology, both in the camera and with digital imaging. Don’t leave home without one! I never do. The Texas Coast in spring. The migration possibilities are endless, and there is rarely a dull moment. Shorebirds, songbirds, herons and egrets, gulls and terns, and the occasional raptor help to make the upper Texas Coast in spring one of the greatest migratory locations in the world. Swallow-tailed Kite in New Jersey. I have missed this bird numerous times (once by 20 seconds in 1989) and continue to have bad luck finding or chasing someone else’s sighting. New Jersey is the only bird list that I keep, although I must admit that it used to mean a lot more to me than it does today. I have about 403 birds on my New Jersey list, but I don’t get upset anymore when I miss a potential new bird. I used to get totally bent out of shape when I missed a new bird in the state and would sulk about it for days. Now every bird is special (except European Starlings and grackles), and I can find joy just birding in my backyard and watching birds that are called "common" by others. What is your favorite piece of photographic equipment at home and on the road? My Canon 600mm lens. The image stabilization and predictive auto-focus capabilities of this lens combined with digital technology have enabled me to take numerous action and motion photos, like this Cooper's Hawk, that were only a dream in the days of slow shutter speeds and film. I don’t really have any dreams about birding trips, since I have had so many wonderful opportunities traveling the world and seeing many spectacular birds and birding locations. If I had to choose a dream trip, however, it would be going to Australia for six months during our winter with Dale, renting or buying a sleep-capable vehicle and traveling all over the country. All the birds would be special, especially cockatiels and others in the parrot/parakeet family. I choose Australia because it is a friendly nation with a tremendous variety of habitats and wonderful scenery. I didn’t have one, but I did start shooting with Arthur Morris and Robert Villani back in 1981, and we shared experiences and tips together for many years. Rob is now a doctor, but Artie and I still talk via e-mail on a regular basis, and he continues to share his knowledge with everyone, including me. Are you a Wawa fan? Big Time! Especially the custom hoagies when traveling on the road, and the 44-oz. Powerade drinks in brutally hot weather for $1.25. Everywhere I go seems to offer wonderful opportunities, but Bolivar Flats and High Island in Texas and my home turf near Cape May are two of my favorites. Shorebirds, herons and egrets are the Texas specialties, while raptors and shorebirds keep me busy in Cape May. I encourage all birders, old and new, to share their enthusiasm and knowledge of birds with others, without looking for rewards or retribution. Birding is a wonderful way to enjoy nature, and birds are some of the most visible parts of our natural world. I have been sharing an exciting approach to identifying birds called “birding by impression.” This approach allows everyone to use basic impressions of size, shape and behavior as the most important initial factors to note in the field, with common sense and keen eyes the most important elements needed. I urge the elimination of competitiveness in birding circles, except for a lighthearted, friendly contest like the World Series of Birding every now and then. There is nothing to gain by demeaning the abilities of another birder and everything to gain by sharing your knowledge and birding tips with others. I particularly like teaching and sharing my knowledge with beginning birders, since I get to experience again the unbridled enthusiasm and excitement that emanates from new birders who see a beautiful bird for the first time. I still get excited while birding, but it does not compare to the exuberance and anticipation of the early years. 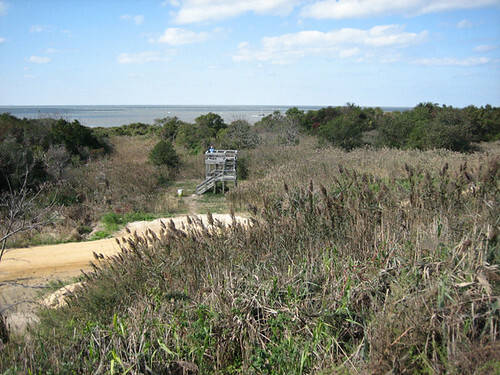 In addition to signing the Partners for Fish and Wildlife Act, President Bush recently put his John Hancock on the North American Wetlands Conservation Act Reauthorization (H.R. 5539) and the Great Lakes Fish and Wildlife Restoration Act (S. 2430). 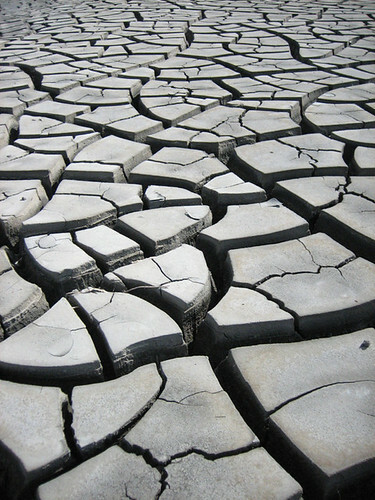 The former provides money for wetlands restoration in the United States, Canada and Mexico. If I understand correctly, Congress approved other bills that await the president's signature. These include the Neotropical Migratory Bird Conservation Act Reauthorization (S. 1410), the National Fish and Wildlife Foundation Reauthorization Act (H.R. 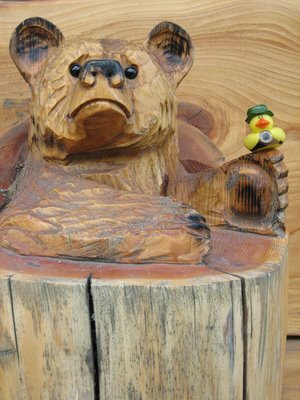 1428) and various regional items related to national wildlife refuges. If you want your elected officials to pay attention to conservation funding, consider checking Thomas on a regular basis. Bill text searches for "wildlife" and "bird" can keep you abreast of legislative matters. Consider it a way to repay the birds! How common are these opinions? I recently read a blog post that made me wonder if this blogger's opinions are widespread. 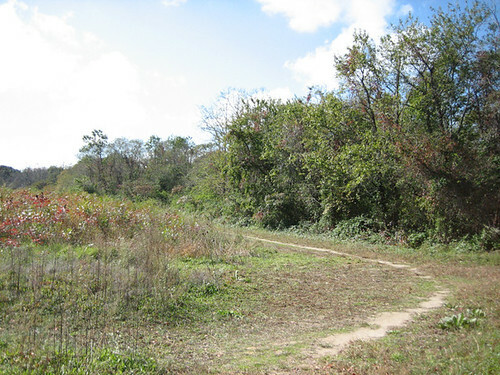 Last week, someone reported what they thought was a ‘new’ sighting for the park, when they returned downstate from a camping trip to this area that we visit at least once a month (more during migration). I had to chuckle because I’ve known of them for sometime now.. but I’m not a lister and rarely report my sightings. Birdchasers and I don’t mix well, so I keep most of my bird sightings to myself, as I do not wish to hear of a vagrant or rarity chased just so someone can check it off their list and say ‘ok, that’s another bird I have for the state/county/etc. Some time ago, I unjoined a Michigan ‘birding’ website when I was admonished for speaking out against baiting irruptive owls for photos, which didn’t bother me in the least because the group as a whole is unethical. I birded with them one time too many in the past, their only goal was to check off as many birds as fast and furious as they could, racing in circles, not stopping to even enjoy the bird. The owner of the website sets up webcams each year, exposing newly hatched chicks to the elements and receives kudos for ‘all of your hard work’. To claim to love birds then engage in practices that are potentially harmful to them is wrong in my book. To claim to have this deep affinity for and with the wild, then visit a nestsite again and again during the peak of breeding season goes against everything I believe in as a watcher of birds. My good friend called yesterday, and we discussed the fact that Golden Eagles are nesting near both of us.. neither of us have turned in reports of the nests because we know that will ultimately lead to harassment and possibly abandoned nests. Someone would decide they need leg bands and the nests would need monitoring. Sorry, no dice. They’re doing fine on their own, regardless of how much we think we need to count birds, document them, band and then do it all over again for the sake of ’science’. 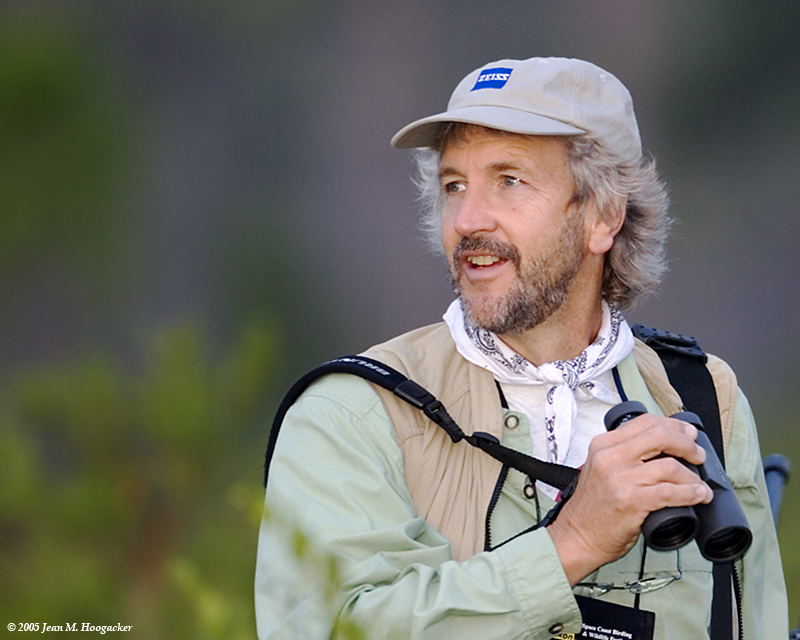 How often do you encounter birdwatchers and birders who hold these or similar views? Would you like to receive two recently published books? Then write a 500-word short story that touches on birds, birding or birders for the monthly First Friday contest! This article celebrates the ground-breaking for a bird garden of native plants at Suquamish Elementary. With a dump truck full of grant-accruing work emptied out by the school’s Parent Teacher and Student Association, Suquamish Elementary received $5,000 through a Lowe’s Charitable and Educational Foundation toolbox for an education grant to build a bird observatory near the school’s library. 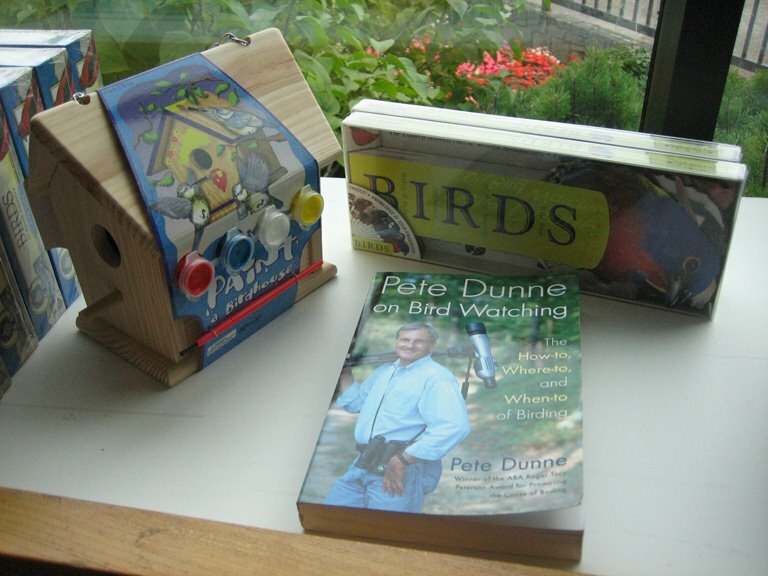 It is good news for project leader Terri Day and even better news for the school’s Early Birds bird watching group, which meets before school to peer into the world of ornithology. The grand opening is scheduled for Nov. 30. What a fantastic combination of people and resources! 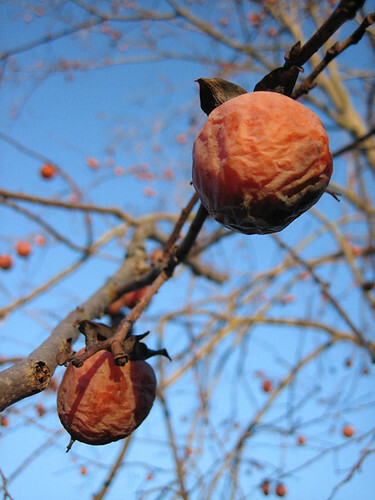 Can you get the ball rolling for a bird garden at a local school? Check out the details for Lowe's Outdoor Classroom grant program and the Toolbox for Education. while reading this article about a bird bandit? GRESHAM -- A man marked with beak bites on his hands was arrested on a MAX train by officers searching for a bird bandit in Gresham. “It seems that birds don’t enjoy being grabbed and put into coats and jackets, and have a tendency to bite when that happens. Thomas had some injuries to his hands and arms that appeared to be consistent with a beak bite,” he explained. Take that, you stupid thief! Have you heard about the study that found that breeding HOFI females internally compensate for their less-vibrant mates' appearance? Because chicks that are sired by ugly fathers are not fed as much, they could suffer from nutritional deficit. Therefore, female house finches deposit more antioxidants, including 2.5 times more vitamin E, into the yolks of the eggs sired by unattractive males. This protects the embryo during the developmental process. The full text is available at Physiological and Biochemical Zoology to subscribers. 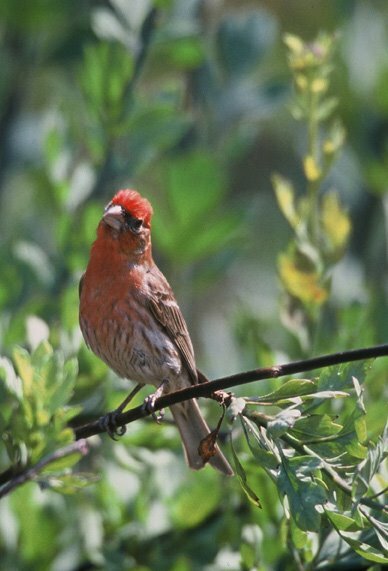 House Finch ("I don't need no steenkeng compensation") courtesy of U.S. Fish & Wildlife Service. Are you familiar with the Wiki sites on the Web, such as Wikipedia? They allow users to participate in adding and editing information about topics after creating accounts and logging into the sites. A free and non-commercial guide about birds and birding where anyone can contribute, explore birding hotspots or keep track of rare species in a region. You can share a favorite birding spot or topic by adding descriptions, bird lists, or images for that subject. I'd like to know what you think of those sites -- their organization, accessibility, utility, realistic potential? Gender discrimination... or dearth of visible female birders? I am concerned that this list included only 1 female. Given that females make up about half, give or take depending on the survey, of birders, this is in my opinion discriminatory. Surely the author could have found more than one female in the field that is shaping the future of birding. My response: You're not the first to voice that opinion. I must say that Karlson, a 25-year birder who lives in a hotspot visited by vast numbers of birders and who travels regularly to birding festivals and events, wracked his brain to find more female stars. If you know of other young women who've accomplished as much as Jessie Barry and have earned national recognition, please share their names! As mentioned on Monday, last weekend's excursion to the Columbia River Gorge provided much duck-photo fodder. As always, click on an image to see a larger version. The town of Bingen, Wash., proved to be particularly fruitful. At least, that's how I consider it. What do you think? Do you participate in the annual winter census, typically between mid-December and the first week of January? If so, is it standard operating procedure to lure birds with a tape during your count? I've heard arguments for and against using screech-owl calls during counts and field trips. Your thoughts? The U.S. Fish & Wildlife Service released a report this week about the once-endangered species' status. 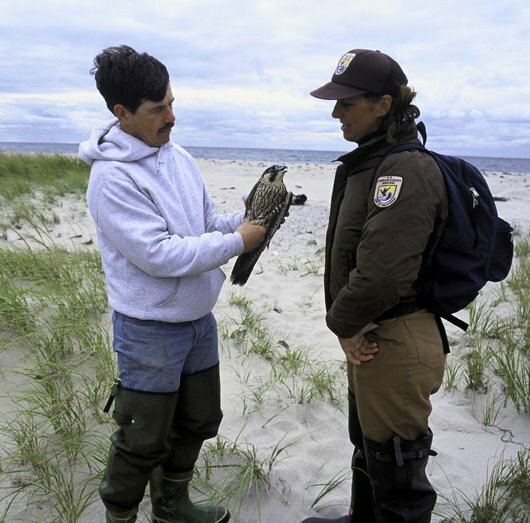 The results from the first nationwide monitoring effort to measure the peregrine falcon’s recovery put the number of nesting pairs in North America at about 3,000 – nearly 10 times the number estimated in 1970 when the bird was first protected as an endangered species and considerably more than the roughly 1,800 breeding pairs estimated in 1999, when the peregrine was declared recovered and was de-listed. You can see the post-delisting monitoring plan here and the 2003 monitoring results here. This page offers lots of Questions & Answers. Do you know an elementary or middle-school teacher who wants to introduce birds into students' science education? Maybe BirdSleuth, from the Cornell Lab of Ornithology, is an option. The $70 kit includes lesson plans, student journals, 36 game cards and a resource kit with handouts, two CD-ROMs and a reference guide. "Nutcrackers are almost exclusively dependent upon cache recovery for their survival, so if they don't remember where they've made those caches, then they are in trouble. During winter, their cache locations are covered with snow, so many of the small local features in the landscape during fall are no longer available to them. What's clear is that they are using spatial memory to recover these caches. They are remembering these caches based on landmarks and other features of the terrain." The research might help us understand the evolution of memory as well as "insights across species about brain function and the hippocampus, a part of the brain important for memory and one of the first regions of the brain to suffer damage in Alzheimer's patients." Don't miss out on a rauckus good time: the I and the Bird Hootenanny! 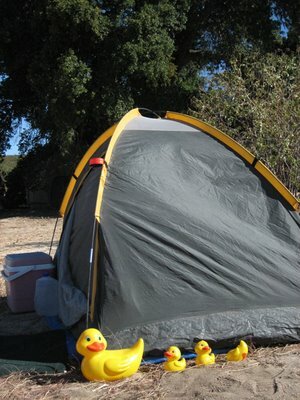 (Not to be confused with this annual hootenanny in SoCal.) Kudos to Pam for the musical fun! 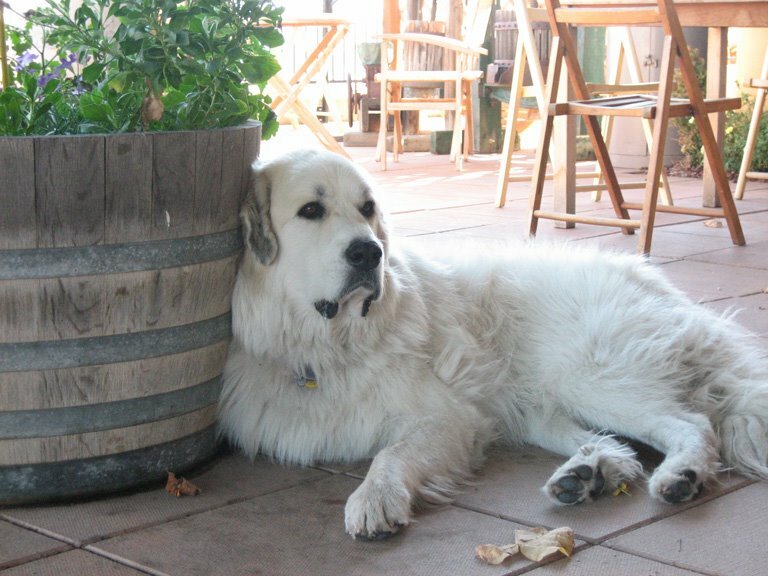 In a blatant copycat move, I'm sharing some disapproval proffered by a pooch at Maryhill Winery in eastern Washington last weekend. Potter presided over the patio and then the tasting room, where she practically sat on my friend's foot for 15 minutes. 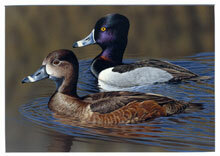 A pair of swimming Ring-necked Ducks earned first place for Richard Clifton of Milford, Del., in the 2006 Federal Duck Stamp Art Contest. This is the first Duck Stamp win for the self-taught wildlife artist. Clifton's painting will appear on the stamp when it becomes available for purchase in late June 2007. Federal Duck Stamps raise about $25 million every year to purchase wetland habitat for the National Wildlife Refuge System, which includes almost 550 refuges. Second place went to Joseph Hautman of Plymouth, Minn., earned second place with his pair of flying Wood Ducks. Ed Yanok of North Canton, Ohio, received third place for his pair of swimming Cinnamon Teal. 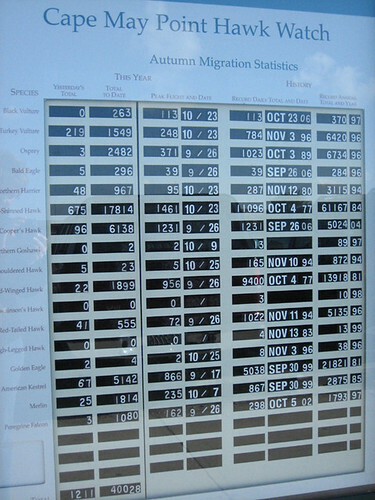 The other eligible species for the 2006 contest were Gadwall and American Wigeon. while browsing the Bonneville Dam gift shop on Bradford Island in the Columbia River. 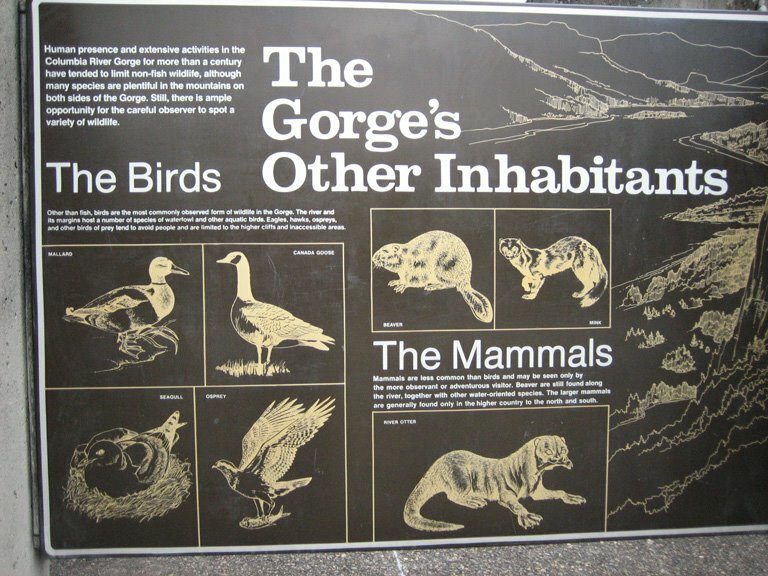 While pleased to see an interpretive sign that included birds, I was a wee bit perturbed to see that the U.S. Army Corp of Engineers included "seagulls" (lower left corner). They're "gulls," just "gulls." My only other bird sighting for the day happened as my friend and I walked into the dining room at the Lyle Hotel. Quoth the raven: "Eat the steak."